Scott Gavorsky was part of a history faculty team at the Indoor Mini-Golf Tournament at the Alaska SeaLife Center in Seward, Alaska. Scott Gavorsky, Ph.D. 2009, has been teaching at the University of Alaska Anchorage. He has an article forthcoming, “L’État comme propriétaire? : Schools as Property in Nineteenth-Century France,” in Institutions and Power in Nineteenth-Century French Literature and Culture, eds. Kate Griffiths and David Evans (Rodopi, 2011). He has presented papers at recent Society for French Historical Studies conferences in Arizona and Charleston. In addition to teaching at Anchorage, he organized the Phi Alpha Theta Second Annual Alaska State Conference in February 2011. The Alaska SeaLife Center in Seward, Alaska has an annual fundraiser, an Indoor Mini-Golf Tournament. A number of the history faculty put together a team and participated in the tournament in March 2011. There was also a contest for “best golfing attire,” which they won with their “EiderDons” theme. 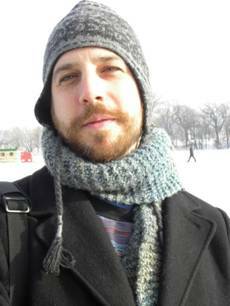 Jeremy Pool has won a Mellon Post-Doctoral Fellowship. 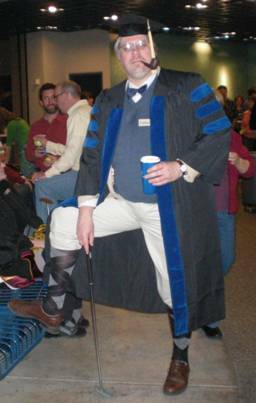 Jeremy Pool, Ph.D. 2009, writes that he was thrilled to take part in the Commencement Ceremony last spring. He and his wife are currently living in Minneapolis, while he works at the Minnesota History Center Museum and she works at the University of Minnesota Law Library. He was recently awarded a two-year Mellon Foundation Post-Doctoral Fellowship through the Associated Colleges of the Midwest to serve as an instructor at Monmouth College in Illinois, so they will be moving there in the fall. At Monmouth, he will be teaching three courses a year in African and Atlantic World history, serving as a resource for students and faculty and further developing his own scholarship. He has submitted an article on education and nation building, currently under review for a special issue of Ghana Studies on Kwame Nkrumah’s leadership in Ghana. Now he is working on a second article on the 1948 Cape Coast school strikes, and beginning the long process of transforming his dissertation into a book manuscript. Christina Welsch, B.A. 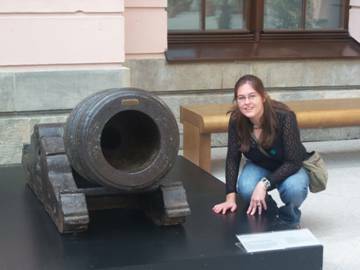 2010, visited the Deutsches Historisches Museum in Berlin. Christina Welsch, B.A. 2010, has received the Adolph G. Rosengarten Jr. fellowship at Princeton University, where she is pursuing a doctorate. The fellowship is awarded every year for outstanding graduate work in history. In 2011, she will participate in the Summer Language Program run by the American Institute of Indian Studies. She will work on Mughal Persian in Lucknow, India. While a student at Emory, she held a George P. Cuttino Scholarship, which gave her the chance to do research in the India Office Records in both the National Archives of New Delhi and in the British Library in London. A Mellon Mays Undergraduate Fellowship allowed her to make a short trip to Kolkata, where she could investigate sites related to her research. As a participant in the SIRE Program at Emory, she worked as a research assistant to Professor Tonio Andrade, which deepened her interest in historical scholarship. Listen to her discuss her love of history and plans for a career as an historian. Ethan Schiff is raising money to make a documentary about his grandmother, Vera Schiff, a Holocaust survivor. Ethan Schiff, B.A. 2008, writes, “After graduating from Emory, I moved to London, UK for a year where I worked as a videographer. I shot videos for many different companies and organizations all around England and even a few in mainland Europe. I met some amazing people and went to many small towns in England that I, otherwise, never would have visited. When I returned to the United States, I worked on some film and commercial sets as a production assistant, but I quickly decided that was not the professional route for me. I am now based in Toronto, where I am continuing my work as a videographer and documentary filmmaker.” He recently made a short documentary called A Silver Lining about his grandmother, a Holocaust survivor, which has been accepted as a finalist for the Friends of Simon Wiesenthal Centre Spirit of Hope Video Contest. The film will be shown at the Centre’s gala on May 31st to attendees including Alan Dershowitz, Bob Woodward, David Gergen, and Robert Gibbs. He is now working on another documentary about his grandmother. Ethan explains, “In this documentary, Vera Schiff, a Holocaust survivor, returns to the concentration camp where she was held to explain how she fell in love during the devastating time. Though she has many stories of pain and tragedy, this film focuses on the few moments of relative ease and happiness that Vera felt amidst the tragic deaths of her grandmother, sister, father, and mother. The film explores to what extent happiness can be considered a relative term and how it can be found in the darkest of times.” He is raising funds for the documentary through the Kickstarter program. You can see a video and learn more about the film, and perhaps give Ethan a donation, on the Kickstarter Terezin website. 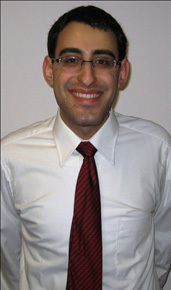 David Abraham received a Jones Fellowship to study at St. Andrews. David Abraham, B.A. 2008, is completing a thesis that examined the evolving interpretations and interpretive devices used by historians to understand the eighteenth-century counterrevolutionary writer Edmund Burke. He had received a Robert T Jones Fellowship to study philosophy in St. Andrews, where he wrote a thesis on Plato’s notion of piety. He will graduate with an MPhil in the summer of 2011. Rebecca Shumway’s book will come out later this year. 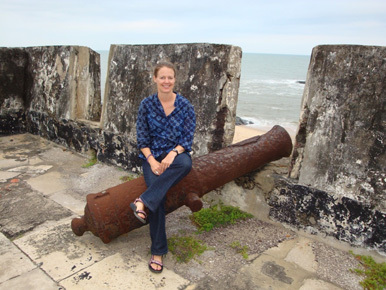 Rebecca Shumway, Ph.D. 2004, is an Assistant Professor in the History Department at the University of Pittsburgh, where she teaches graduate and undergraduate courses on the history of Africa and the African Diaspora. She is the author of The Fante and the Transatlantic Slave Trade (University of Rochester Press, 2011). She is also an avid Pittsburgh Steelers fan. Peter Clericuzio, M.A./B.A. History; Honors, Art History, 2005, is finishing his dissertation, “Nancy as a Center of Art Nouveau Architecture, 1895-1914,” in May, and teaching the survey of western art in the Department of the History of Art at Penn this semester. 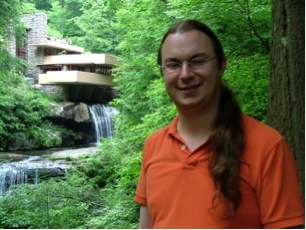 He also is currently working as an editorial assistant for the Journal of the Society of Architectural Historians. His article, “Modernity, Regionalism, and Art Nouveau at the Exposition Internationale de l’Est de la France, 1909,” will appear in the journal Nineteenth-Century Art Worldwide in the spring of 2011. His essay “Le Corbusier and the Reconstruction of Saint-Dié: The Debate over Modernism in France, 1944-46,” based on research undertaken on his Cuttino scholarship at Emory, was published in the Chicago Art Journal in 2010.